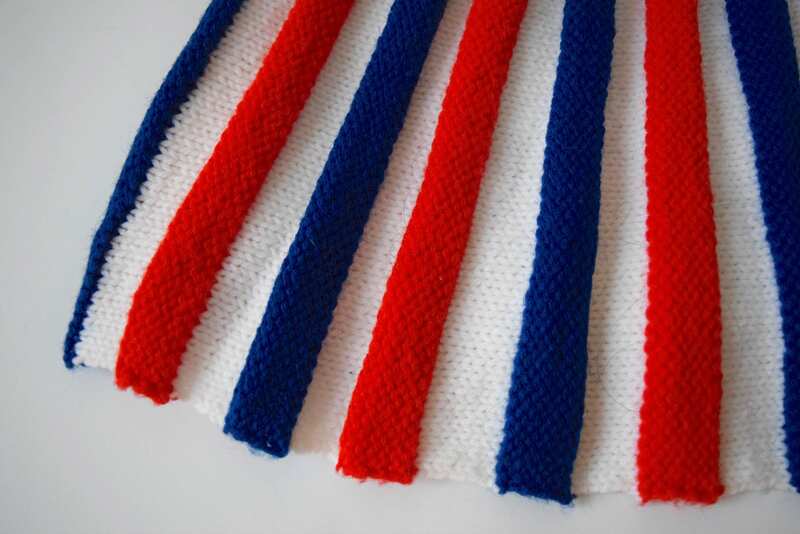 Red, white, and blue striped knit A-Line skirt. Elastic waistband. Across at hips: 17.5" - 25"